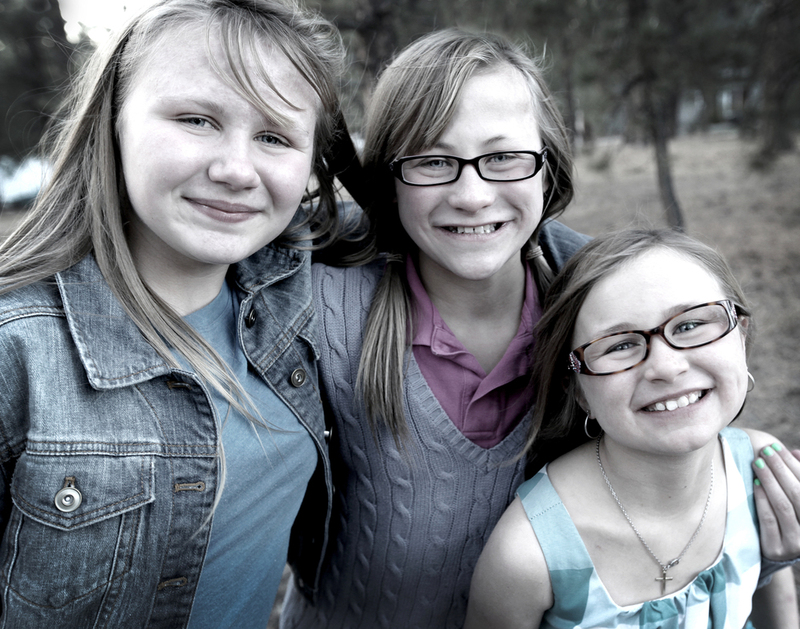 Children are always fun, but these three preteens were a blast! Each has their own distinct personality which their parents so happily encourage them to share and develop. Abby is the sporty one that loves golf, math and running. Brittany is the shy, introspective bookworm who is devoted to horses and riding while Emily is the charismatic buzz of energy who loves people. 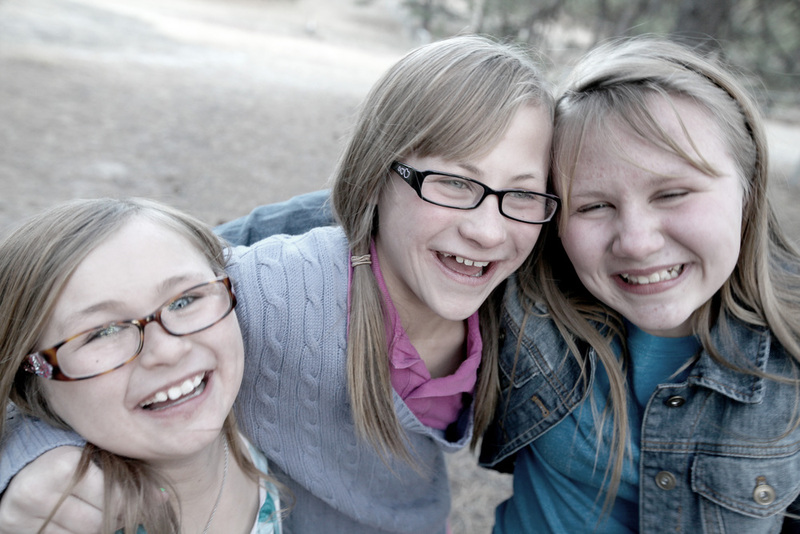 The charming part of this shoot is that these three sisters are very close and truly enjoy one another. I was also impressed with how soulful and lovely these girls are as they head into their teen years where life's priorities tend to change and morph. These girls are clearly grounded in what is important. Our shoot had to be short because it was designed to be a surprise for the parents. However, the shoot had to happen on the acreage adjoining their home so distractions and a quiet walk through the garage door and down the pine lined path of their backyard had to be quick and snappy. No pun intended!